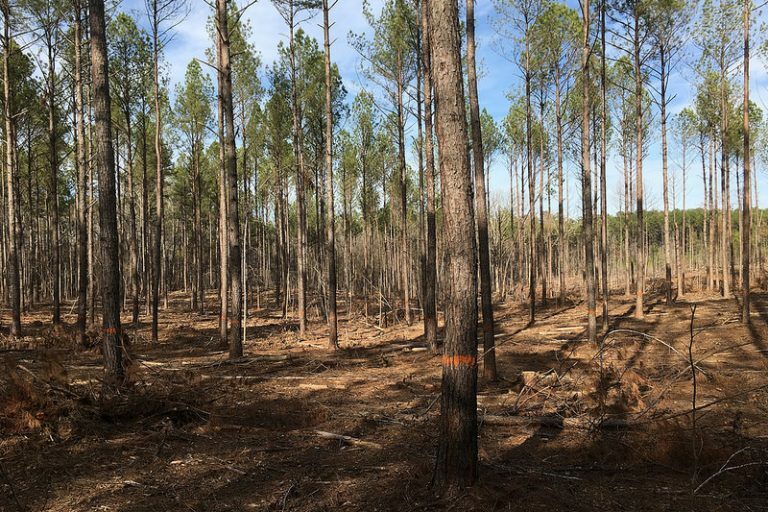 Forest like these in North Carolina are being cut with the wood turned into pellets shipped to the UK and EU to burn in former coal-fired power plants. One of the most disturbing stories I’ve covered in recent years now moves from the forests and sidelines to — possibly — an international court in Brussels, as this story illustrates. Plaintiffs in five European nations and the U.S. filed suit Monday, 4 March, in the European General Court in Luxembourg against the European Union. At issue is the EU’s rapid conversion of coal-burning powerplants to burn wood pellets and chips, a process known as bioenergy. Activists see the EUs bioenergy policies as reckless and endangering the climate. Bioenergy was classified as carbon neutral under the Kyoto Protocol, meaning that nations don’t need to count wood burning for energy among their Paris Agreement carbon emissions. However, studies over the last 20 years have found that bioenergy, while technically carbon neutral, is not neutral within the urgent timeframe in which the world must cut emissions. This entry was posted in Environment and tagged accounting loophole, biomass, carbon neutrality, Climate change, European Union, forests, Mary Booth, North Carolina, UNFCCC, United Kingdom on April 10, 2019 by Justin Catanoso.